The German composer and musician Clemens Thieme held a position in the court capellas of Dresden and Zeitz. His instrumental sonatas, with a style much like those of Rosenmüller, alternate between lively homophony and fugue-like episodes over a decided bass. 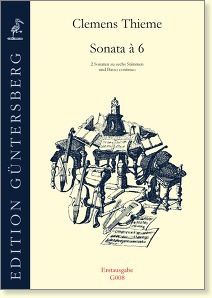 The sonatas which are first published here are intended for viols and/or instruments of the violin family, but they can also be played on wind instru-ments. The middle parts are notated in both, alto and (octavated) violin clef. 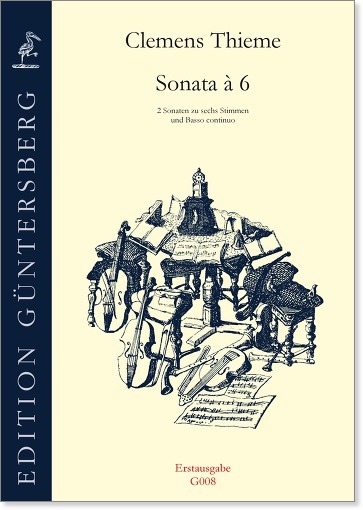 The score also contains the continuo part including figures so that the quartet of viols can also be accompanied by a chordal instrument.